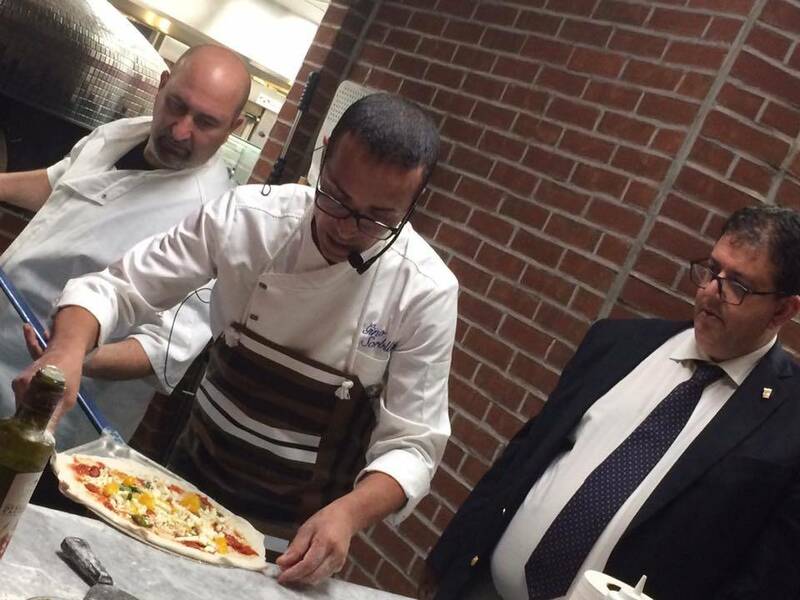 Gino Sorbillo from Naples in action with journalist and food expert, Luciano Pignataro, who was one of the event's hosts. Le Strade della Mozzarella, or “The Many Roads of Mozzarella,” returned to the Big Apple on June 28 and June 29 to the people of the food and wine industry’s delight. The two-day conference of tastings and presentations dedicated to high quality Italian products has taken place for the past nine years in the region of Campania in Southern Italy. 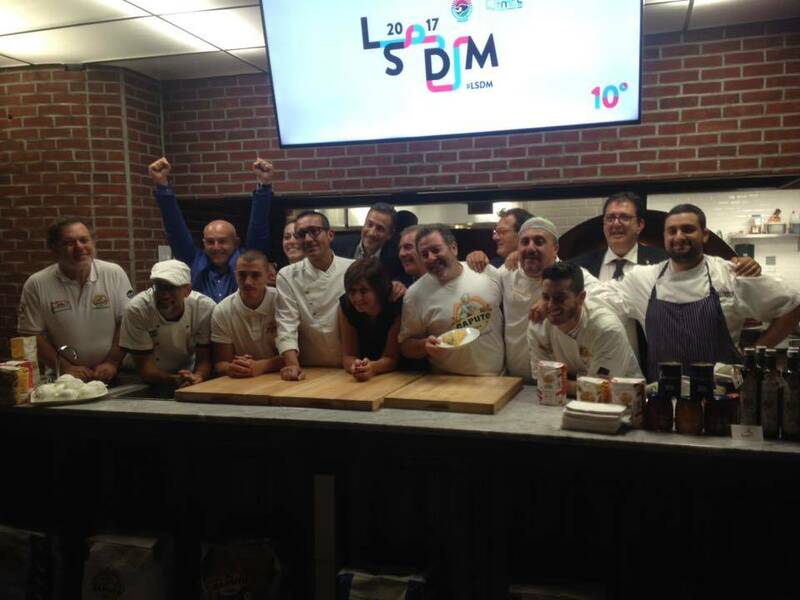 And though LSDM is typically a congress of prestigious chefs from around Europe, it crossed the Atlantic for the second time to tell the stories of some of New York’s best artisans of taste—chefs, pizzaioli, and producers of gastronomic excellence. The events that took place were reserved for those who work in the food industry, serving as opportunities to meet and exchange ideas with producers and professionals in the restaurant world. The first day took place at the Baldassare Agnelli USA showroom and kitchen on 5th avenue in the heart of the Flatiron district. Sean Gray of Momofuku and Mauro Maccioni of Le Cirque both treated the attendees to presentations, as did Alessandro Rapisarda (Cafè Opera) and Gaetano & Pasquale Torrente (Al Convento), whose businesses are based in Italy. Throughout the day, there were also events dedicated to mozzarella di Bufala, the pasta of Gragnano, Neapolitan coffee, Italian Tomatoes, and extra-virgin olive oil. 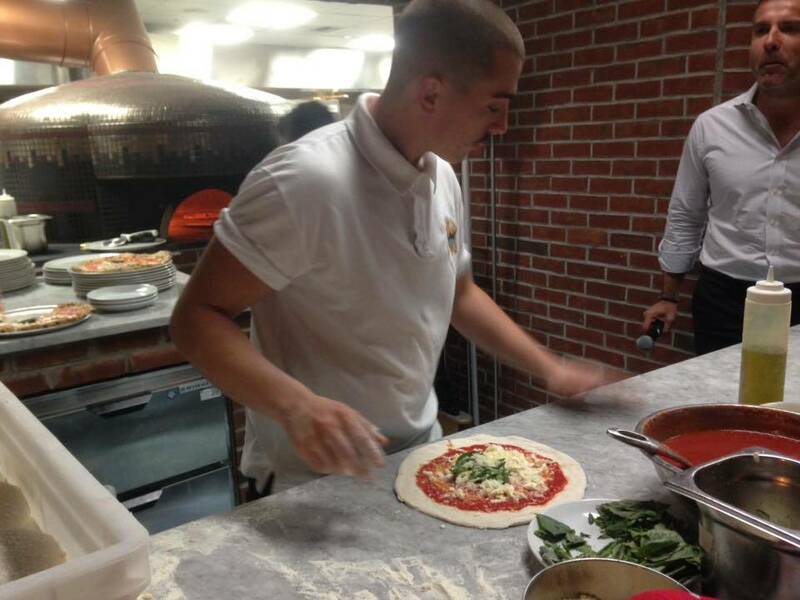 Pizza, however, took the spotlight on the second day and not just any pizza but Margherita style. 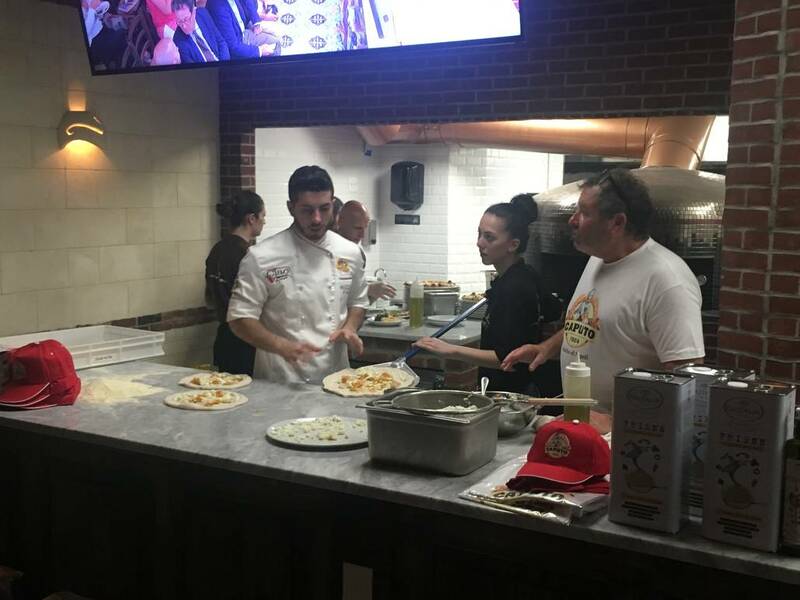 The event, organized in collaboration with the Antico Molino Caputo and Orlando Food Sales, took place at Kesté Wall Street on 77 Fulton Street. 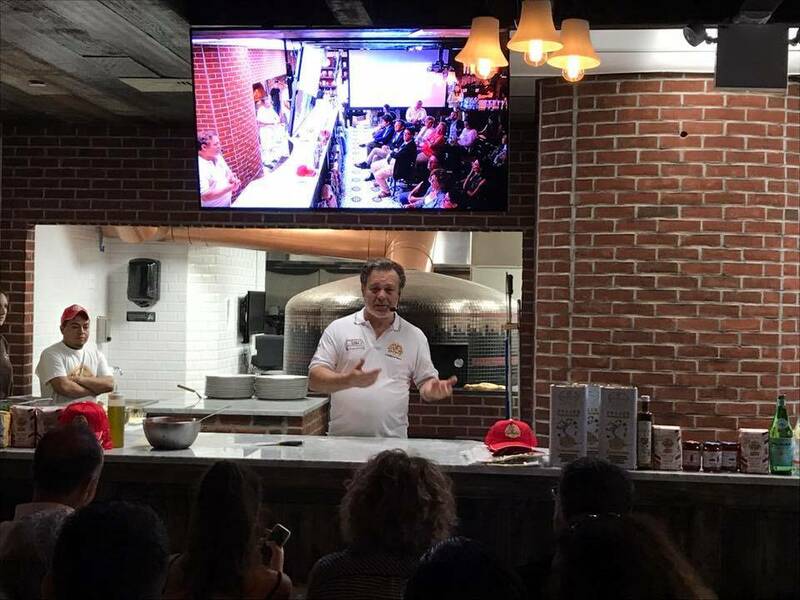 In an effort to introduce a variety of different styles of pizza, all crafted from high quality ingredients, master pizzaioli Roberto Caporuscio of Kestè New York and Giulio Adriani of Atlanta held lessons to an audience of enthusiasts and professionals. 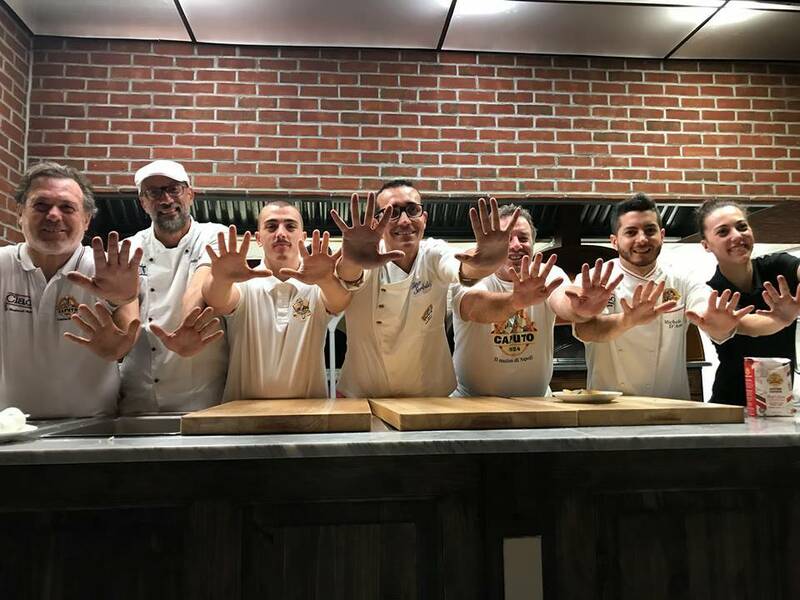 Once they perfected their pies, they offered a selection to Jonathan Goldsmith from Chicago and to Gino Sorbillo and Rosario Ferraro (Antica Pizzeria Da Michele), who both flew in from Naples. 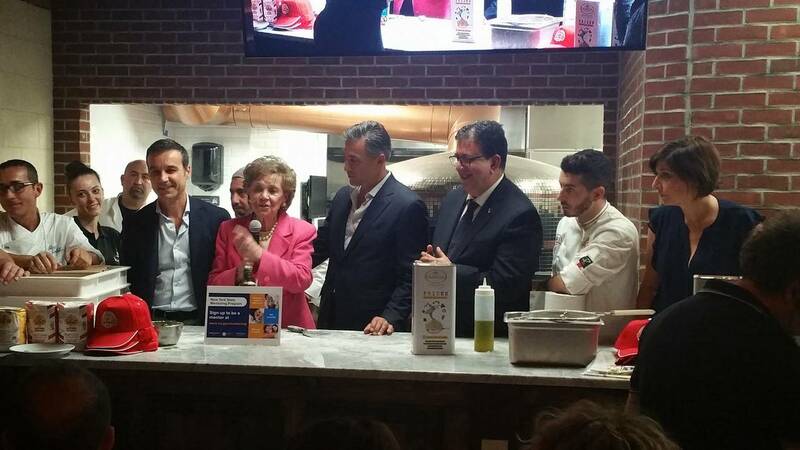 Though it wasn’t planned, after being spotted in the crowd Matilda Cuomo, New York's former First Lady and mother of current Governor Andrew Cuomo, was gifted a fresh pie of her own. 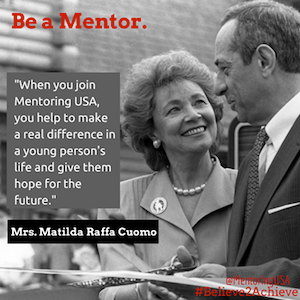 And congratulations are in order, as she recently became a great grandmother to Mario Cuomo, who was named after her late husband. Now in center stage, Cuomo took the opportunity to talk about the New York State Mentoring Program, which provides career and life guidance to children who are at risk of failing out of school or are in foster care across the state.